We’re a few weeks past Halloween, but it’s not too late for something scary: according to a 2017 Ipsos-Reid poll, 63% of Canadians can’t tell the difference between legitimate and fake news. And 65% of Canadians are worried that false information is being used as a weapon (Edelman Trust Barometer: 2018). Canadians have a very real hunger for news that they can rely on, and increasingly, they’re finding that news in their local newspaper. In fact, contrary to so much of the common rhetoric today, Canadian newspapers do not have a readership problem. 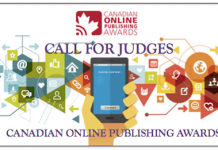 According to 2018 research (Newspapers 24/7: 2018 edition), nine in 10 Canadians (88%) read newspapers each week across Canada on different platforms, at different times of day, looking for local news, insight and the in-depth commentary and analysis that only newspapers offer. Canadians from all demographics, including younger Canadians, are actively reading newspaper content, in print and digital, at home and on the go (85% of millennials read a newspaper every week). What Canadian newspapers do have is a revenue problem. 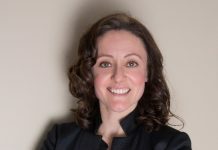 As readership has moved online, too many Canadian brands and companies have moved their advertising dollars to global conglomerates. Today, more than 70% of Canada’s online ad spend goes to Facebook and Google, according to the Canadian Media Concentration Project (November 2017). 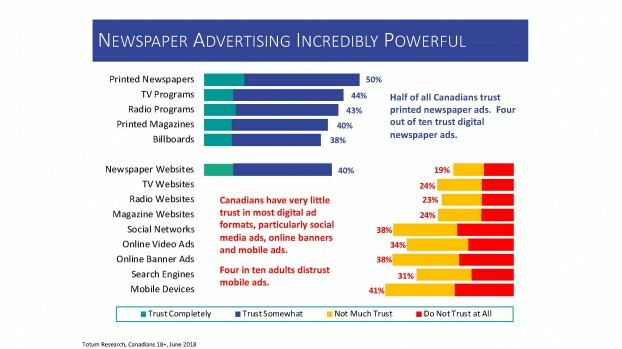 What makes this surprising is that newspaper advertising – in digital, or in print, or both – is incredibly powerful, because the trust that Canadians feel for the content they read in their local newspaper extends to the advertising they see in those same newspapers (see chart below). In fact, Media Technology Monitor showed that while more than 70% of Canadians consider Twitter and Facebook to be news sources, only 11% (Twitter) and 15% (Facebook) trust the information they receive on those platforms. 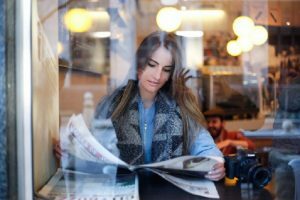 According to a “Trust in News” study by Vividata/Kantar TNS, trust in print or digital newspapers is actually double that of exclusively digital news outlets. And that trust isn’t just a nice-to-have. Ad effectiveness increases in trusted environments, making newspapers an impactful way to drive action among consumers. According to a Totum Research study conducted earlier this year, 58% of consumers have purchased a product or service they saw advertised in print in their local newspaper (see chart below). 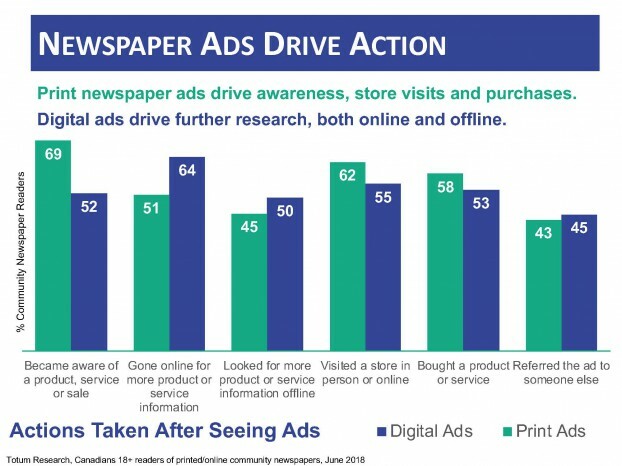 And 64% of Canadians have gone online for more information on a product or service after seeing a digital newspaper ad (Local Newspapers: Trusted and True: 2018). It’s simple: newspapers matter to Canadians, and now more than ever, they should matter to Canadian businesses. 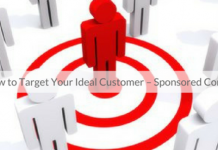 Click here to learn more about the power of local newspaper advertising. Next articleWill you be at this year’s Media Innovation Awards?